Bryce Canyon National Park is located in southern Utah along the eastern rim of the Paunsaugunt Plateau, and it’s one of our smaller national parks covering just over 56 square miles. However, its erosion-shaped rock pillars and its series of horseshoe-shaped amphitheaters form spectacular panoramic views that draw hikers and photographers from around the world. The colorful deeply orange-and-yellow pigmented rock pillars and spires are called Hoodoos, and they stick high into the sky forming odd geological formations below the rim of the plateau. 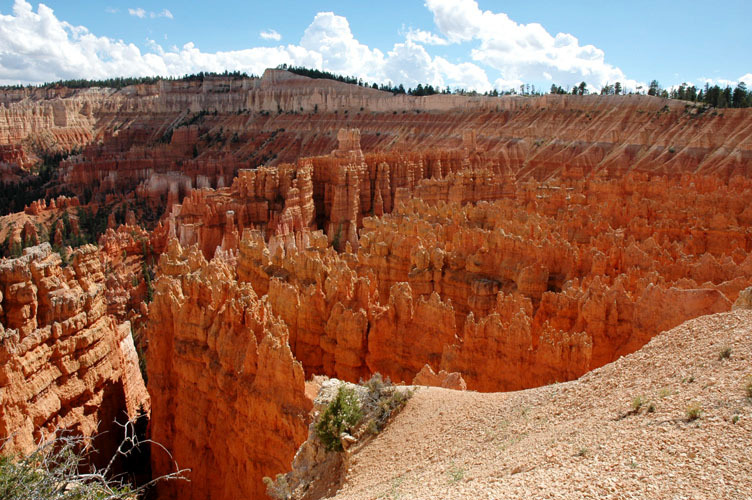 Because of its smaller size we recommend Bryce as a place to visit in conjunction with other nearby parks such as Zion or the north rim of the Grand Canyon. Its unique scenery will compliment and add to the enjoyment of the spectacular geology and hiking found throughout Utah. Like most National Parks there is a Visitors Center available with exhibits and with tons of pertinent information including a history of the geology of the park’s structures. You can pick up maps and trail guides to help you plan your activities while you are there. They also offer interpretive programs such as ranger guided walks and evening programs. There is a general store near the Sunset Point parking area where you can purchase limited supplies, and shower and laundry facilities are available for a fee. Shuttle service is available during the summer, but this is one time where you might want to drive the 18 mile plateau rim loop road (no large trailers). Numerous parking areas along the way allow you to take your time enjoying the varied overlooks down into the amphitheater formations below. 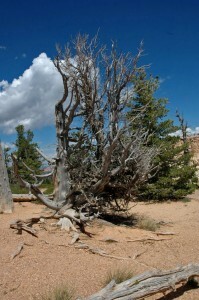 You’ll find interesting flora and fauna, such as Bristle Cone pines at Rainbow Point, near the end of the loop road. Other flora include juniper and pine woodlands, and of course, sego lilies. 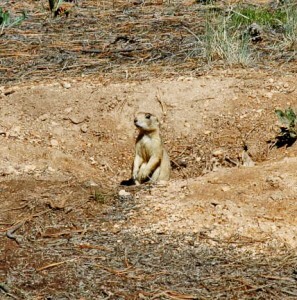 Local critters you might see include mule deer, elk, prong horn, coyotes, and lots of rodents, including the rare Utah prairie dog. Take your time and take a cooler for lunch along the way, it will make for a good day. Fees at the park are similar to other National Parks, $10 for a seven day pass, and $20 per vehicle unless you have one of several passes that give you an exemption. The rules are mostly the same too, no pets on trails, camp only in designated areas (14 day limit), stay on the trails, etc. Bicycling is allowed on roads – they’re friendlier to cyclists than those in some of the other parks we’ve visited. For more specific information go on line at www.nps.gov/brca, or call 1 (435) 834 5322. You can Google the park online too. There is a lodge with a restaurant in the park, and guided horseback tours are available there. Check out www.canyonrides.com. Lodging and other grocery and food services are also available outside the park, and if you’re camping we suggest you load up before you enter the park. We opted to stay at the North Campground where you can reserve a space. The Sunset Campground is on a no-reservations, first-come-first-serve basis. Both are comfortable with the usual amenities, but not as scenic as places like the North Rim of the Grand Canyon. 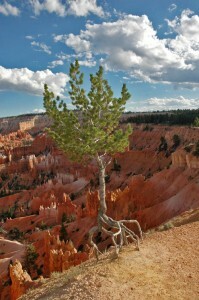 Oddly enough Bryce Canyon is not a canyon. The name comes from one of the many colorful canyons located in the park. While we were there we enjoyed several day hikes, but you should note that all of these are back loaded. By that I mean you take off downhill from the plateau rim and the hardest part of the trail is coming back up. 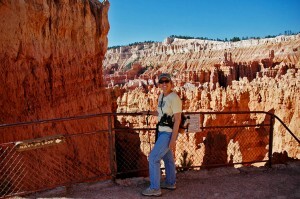 Also elevations at Bryce vary from about 6,500 to over 9,000 feet, higher than nearby Zion. It’s hot in the summer, and thunder storms are common. Carry water, know your limits, and plan accordingly. We visited Bryce two years ago and particularly enjoyed the Navajo Loop Trail, Fairyland Point, and all along the rim trail. All of these are popular day hikes, and great photography abounds throughout. The Hoodoos are the big attraction. These thin spires are also called earth pyramids or tent rock formations by some, and they’re rumored to cast a spell on the million and a half visitors that enjoy the park’s hospitality each summer. The word ‘hoodoo’ has varied definitions but evidently comes from a large body of African folklore practices and beliefs. These can be associated with voodoo, trickery, witchcraft, goblins, and bad luck. Or, as they’ll tell you in the park, they can stimulate intrigue and imagination. 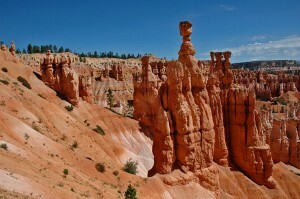 We like the later definition, and we enjoyed the Hoodoos regardless of the definition. We recommend this place as a worthwhile scenic stopover when visiting the many wonderful National Parks of the western United States. We’ll go back again, and we hope you take time to visit here, too. This entry was posted in National Parks and tagged camping, national parks. Bookmark the permalink.